The world's popular hip-hop star, Nicki Minaj, said that she will be focusing on her work this new year. 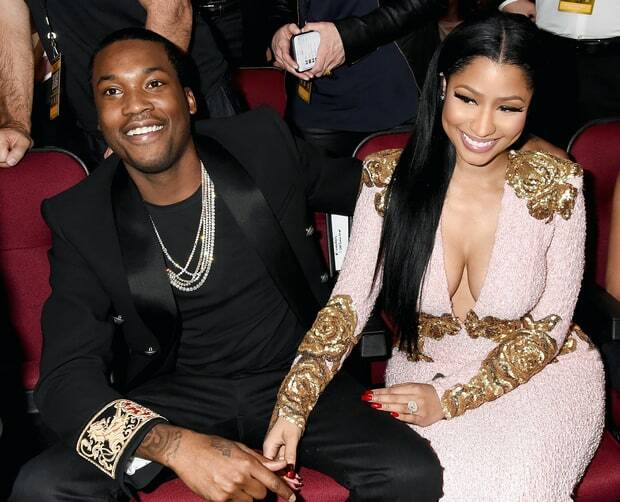 So pound the alarm: Nicki Minaj, Meek Mill now single. Nicki Minaj took to her twitter handle today to reveal that her relationship with fellow popular rapper Meek Mill is officially over after nearly two years of being together. Rumors had been flying around the "Pound the Alarm" artist's romance with Mill in recent days after it was discovered that the two stars didn't spent their holidays with each other. Minaj tweeted this today: "To confirm, yes I am single, Focusing on my work & looking forward to sharing it with you guys really soon. Have a blessed New Year. Love u." It's shocking to note that regardless of their nearness, they never share a New Year’s kiss together, rather they spent their Christmas apart and were seen partying separately multiple times in the past few weeks. Report has it that the former couple began their dating in early 2015, with Minaj enlisting Mill as an opening act on her sprawling “The Pinkprint” world tour. After Minaj was seen sporting a massive ring, speculations became strong in 2016 that the duo was engaged , but Nicki refuted it as rumors during an appearance on “Ellen” last year April. She told host Ellen DeGeneres, "that’s not an engagement ring. I have two rings from this boy that likes me. That’s not my engagement ring though. He said, that’s my second ring, and he said if I get a third ring, then that’s my engagement ring." Despite all these developments, Meek is yet to publicly air his words to Minaj declaring the end of their relationship.